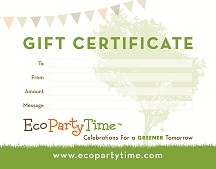 Ecopartytime has some of the best products for this little get together. 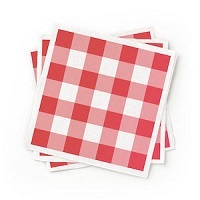 I’m going to show you what tableware to check out and what decorations would be perfect! 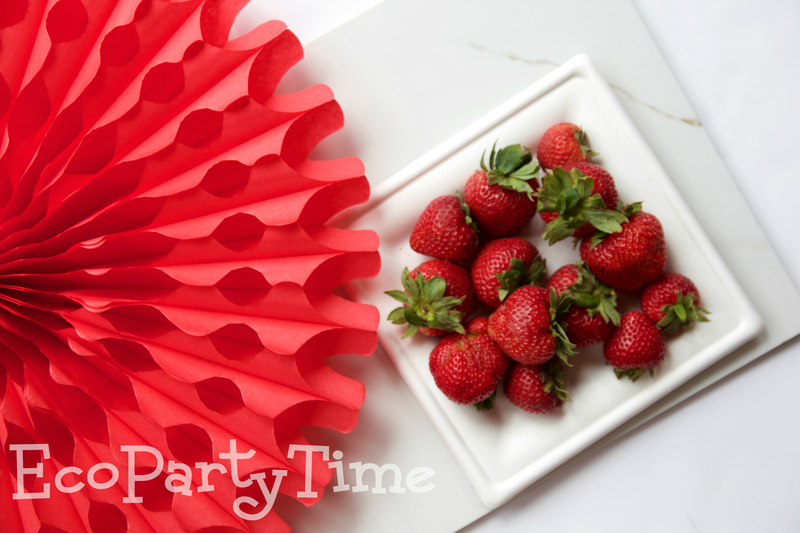 I use Ecopartytime’s Tissue Balls & Tissue Fans at every party I have. 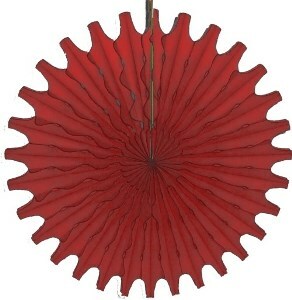 They are just so beautiful and add lots of color to the party. 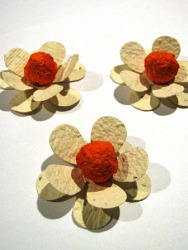 Red Honeycomb Tissue Decorations were the perfect choice for this party. 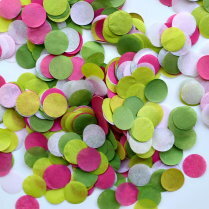 Preppy Paper Confetti is also quite perfect for this sort of occasion. 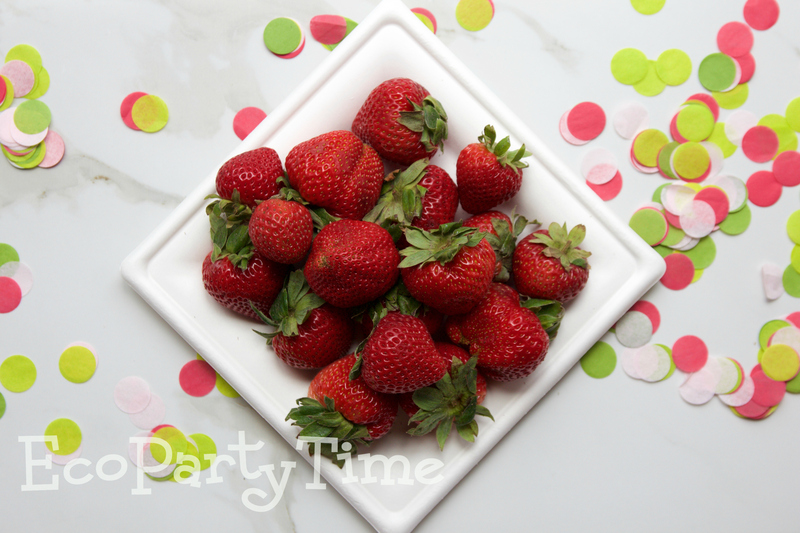 For my table centerpiece I used strawberries - of course! 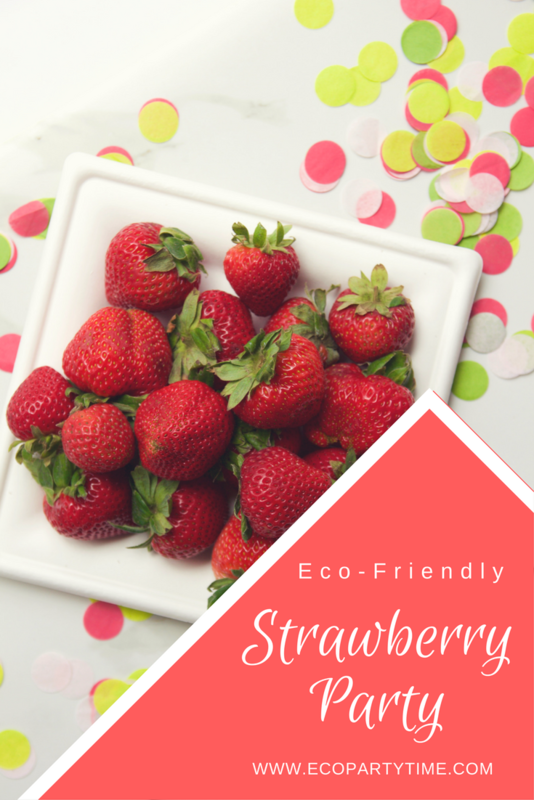 My strawberry display sat atop a Compostable Square White Plate from Ecopartytime. 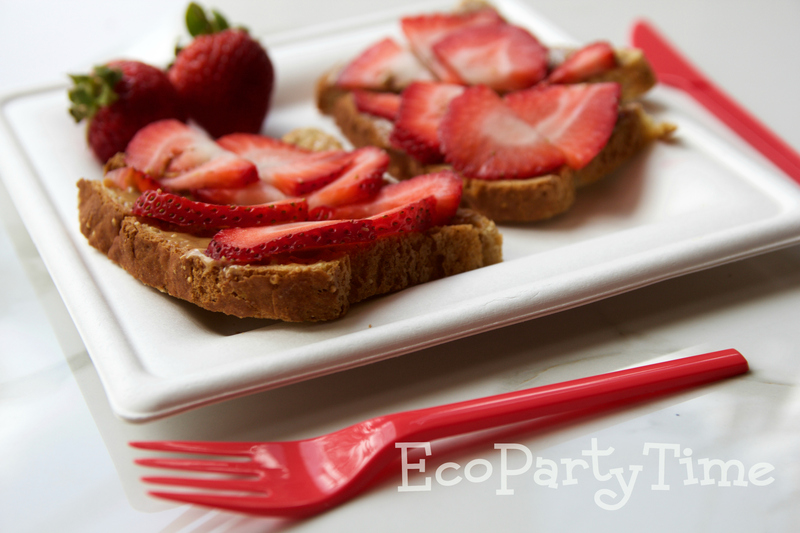 Lucky for you Ecopartytime has lots of red colored options for a Strawberry Party. 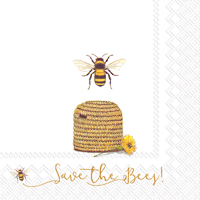 Plus all the tableware is eco-friendly and compostable. 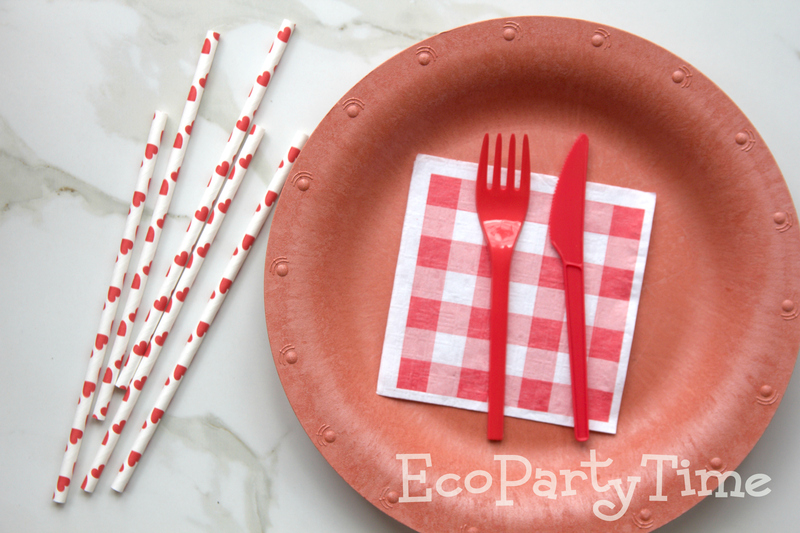 For this particular occasion I used Ecopartytime's Red Solid Color Plates, Red Compostable Utensils, Red Heart Paper Straws, an Red Patterned Cocktail Napkins. 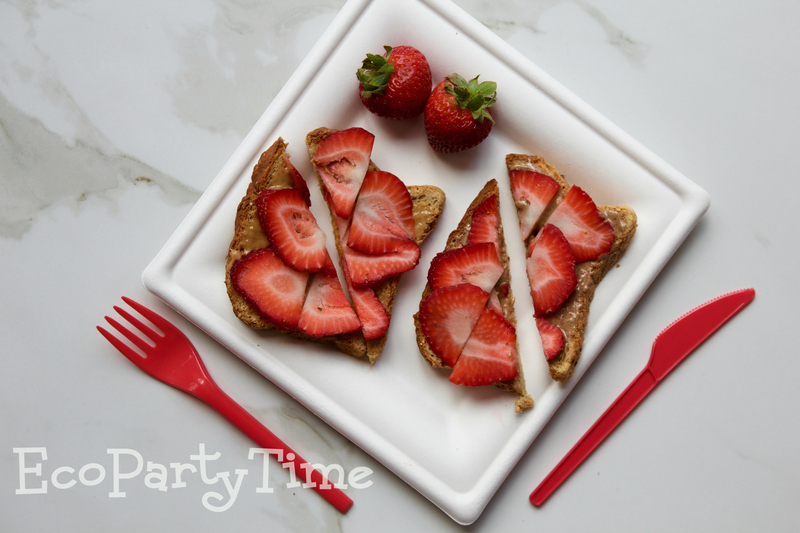 There are so many strawberry lunch and dessert options - so this is where you can get creative! 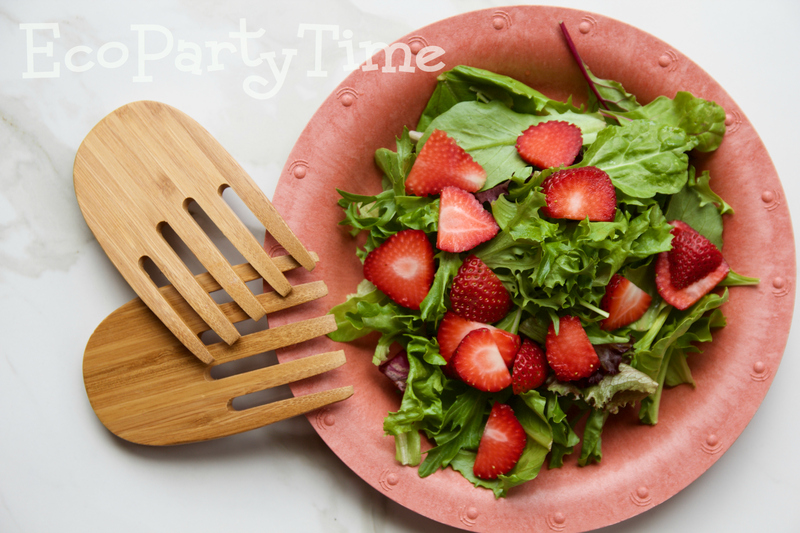 I decided to make a strawberry salad covered in a delicious vinaigrette as my main dish. 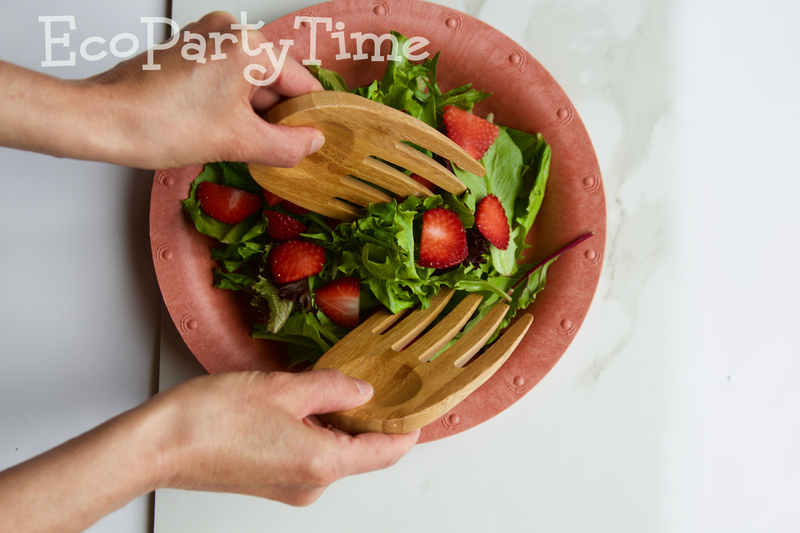 You can serve this yummy salad with Ecopartytime’s Bamboo Server Set. For dessert I decided to go the simple route! 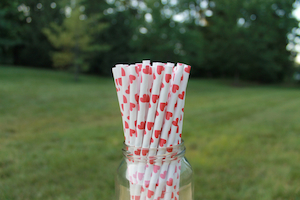 Plus I made something that can easily work for people who are gluten-free! I got a loaf of regular bread, a loaf of GF bread, peanut butter, almond butter and fresh strawberries. 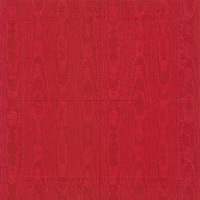 Fancy toast, as you may have noticed, is all the rage on the internet right now. 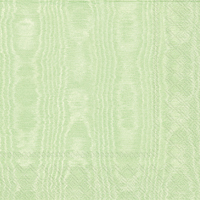 You can find inspiration everywhere.